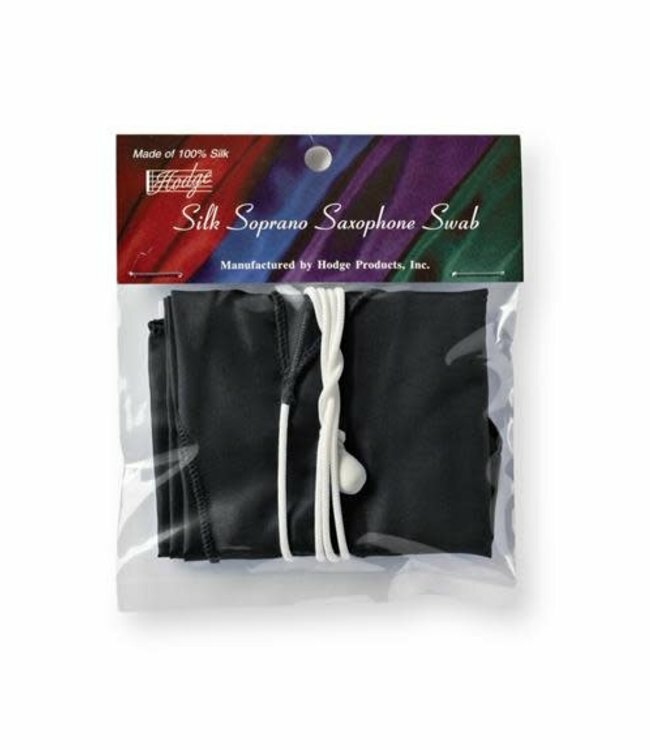 All Hodge silk swabs are made from 100 percent silk and come in performers black, royal blue, burgundy, forest green, and deep purple. Silk is very absorbent, soaking up water in instruments better than any other natural material on the market, including both cotton and chamois. Most uniquely, silk is also very compressible, making it possible to pull through instruments with large variations in bore size. In addition, silk is lint-free. The saxophone swabs use plastic-coated lead weight. They are designed to go all the way through the fully assembled saxophone. There is no need to remove the neck or carry a separate swab for the neck. This is a great convenience.